The President's Cancer Panel is looking for ways to improve connected health for cancer patients. What are your recommendations? This year the President’s Cancer Panel workshop series is addressing various aspects of connected health. Their third workshop on July 9, titled The Connected Cancer Patient: Vision for the Future and Recommendations for Action, will be open to the public (see agenda and attendees). T2 How could connected health approaches promote patient activation and engagement, particularly in cancer? 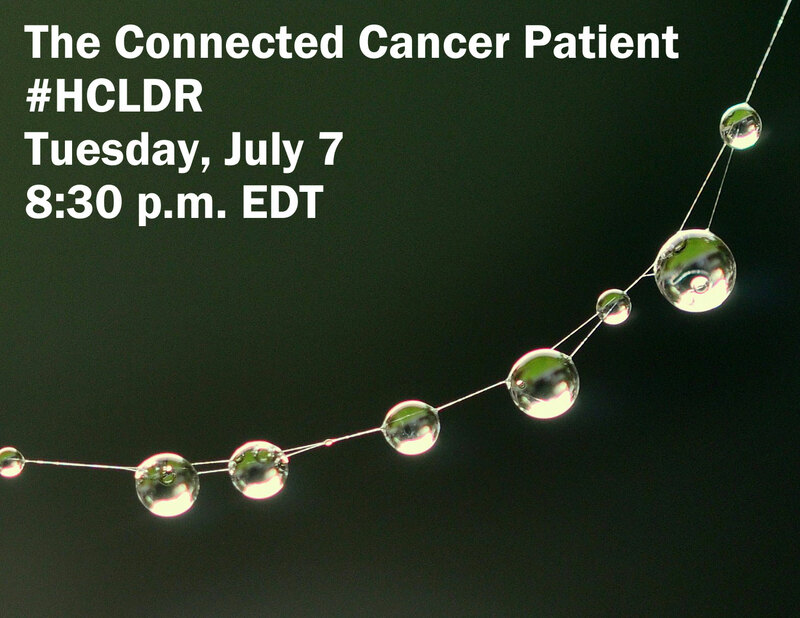 You can read more about the chat and connected cancer patients on the hcldr blog at The Connected Cancer Patient: Future Vision and Recommendations. There's a primer on participating in tweetchats on the #LCSM Chat website (just substitute the hashtag #hcldr for #lcsm in the instructions). I hope you’ll join us! You can also leave your comments here. I will bring any comments left by 10 p.m. EDT July 8 with me to the workshop as input for the session.